Automatically Sunshine The Supremes Your browser does not support the audio tag. Baby Love The Supremes Your browser does not support the audio tag. Bad Weather The Supremes Your browser does not support the audio tag. Come And Get These Memories The Supremes Your browser does not support the audio tag. Crumbs off the Table The Supremes Your browser does not support the audio tag. Floy Joy The Supremes Your browser does not support the audio tag. I'm Gonna Let My Heart Do The Walking The Supremes Your browser does not support the audio tag. I'm Gonna Make You Love Me The Supremes Your browser does not support the audio tag. In And Out Of Love The Supremes Your browser does not support the audio tag. Love Is Here And Now You're Gone The Supremes Your browser does not support the audio tag. Love Is Like An Itching In My Heart The Supremes Your browser does not support the audio tag. My Forever Came Today The Supremes Your browser does not support the audio tag. 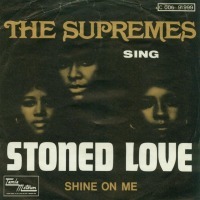 Stoned Love The Supremes Your browser does not support the audio tag. Stop in the Name of Love The Supremes Your browser does not support the audio tag. The Happening The Supremes Your browser does not support the audio tag. The Supremes Megamix The Supremes Your browser does not support the audio tag.